Mike is a Chartered Surveyor with expertise in cross-sector partnership building on urban regeneration schemes, and recent experience of work across the public, private and third sectors in both community loyalty points' administration and delivery on wide-ranging social regeneration programmes. In the course of his career to date, Mike has delivered retail centres in Wigan, Blackpool, Smethwick, Peterlee and Whitley Bay, and office blocks in Preston and South Wales - a number of his projects winning awards for their creativity and socially responsible delivery; and managed asset portfolios for a number of clients. In community terms, Mike has played key parts in pioneering the development of technology platforms that provide for skills, knowledge and resource sharing cross-sector with common purposes and social action in clear view. Mike is a man on a mission to counter economic and social inequalities, improve people's life chances and transform deprived places through creative commercial development and support of grass-roots community action. He is a passionate advocate for partnerships, and in leadership of Hometown Plus, Mike is driven to deliver on real social legacy. His values are sound, his enthusiasm and sense of vocation infectious, and his capacity to problem-solve and deliver proven by his impressive professional record. Get in touch with Mike. To his work with Hometown Plus, John brings a wealth of public and third sector experience - in intelligence-led policy and service development, community asset transfer, performance management, social impact assessment and reporting, and continuous improvement. He is a skilled project manager with a particularly impressive record in income generation, a qualified trainer and organisational development lead - with specialist knowledge of consultation and data analysis, community education, the law as it impacts volunteer and wider workforce development, charity trading - and similar. For the quality and impact of his works, John has earned commendations from the North West Cultural Observatory, the Home Office, Department of Health and DCLG, NHS and Manchester Growth Company. He takes pride in his achievements to date but pushes forward with humility, an appetite for learning and a determination to achieve lots more. In his spare time, John enjoys the outdoors, social history and time with his family and friends. Brian was educated at West Park Grammar School in St Helens and went on to study Modern History with Economics at Manchester University. He started his working career in 1974 as one of Her Majesty’s Inspectors of Taxes, working in Liverpool and London, and stuck around for almost ten years, before jumping ship and joining Price Waterhouse (now PwC). He worked initially in Liverpool and subsequently in Düsseldorf, Manchester and London. He became a partner in 1988 and from 1997 worked predominantly in the field of Mergers and Acquisitions, leading the firm’s tax services to private equity for all the regional offices before taking on a similar role in London. He retired from the partnership in 2010 but has continued to provide tax and strategic consultancy services on a personal basis since then. He has also been active in the “not for profit” arena and has experience of the charity sector. Brian joined the Hometown Plus team at the end of 2016, since when he has been responsible for packaging the firm’s services into an integrated service offering encompassing both commercial and community objectives. Kate grew up in Manchester and hated it. She studied and worked in Nottingham, Oxford, Glasgow, France, and Dubai. She now lives back in Manchester and loves it. After training as a forensic scientist, Kate worked in crime scene investigation for 17 years, becoming increasingly involved in projects such as the national procurement of forensic services, and regional collaboration between police forces. She won a Director-e National Business Manager Award in 2009 for developing the world’s first bespoke crime scene suit, stimulating a new marketplace in the process. Building on her learning, she then took a role establishing and maintaining collaborative relationships with public sector partners across Greater Manchester. Having enjoyed voluntary and charity work in her spare time for years, Kate decided in 2015 to move into the 3rd sector; she joined Manchester-based youth leadership charity RECLAIM in Feb 2016. Specialising in initiating innovative projects and co-creating solutions with others, Kate brings public sector, voluntary sector and charity sector experience to the Hometown Plus team, as well as lots of energy and a drive to do good with others for others. Sarah is an arts and regeneration consultant working at the intersection of local economic development, community development, regeneration and arts & cultural practice. She focuses on social, economic and environmental resilience in communities, in neighbourhoods and for individuals. Her work explores how people living in urban settings can find ways to live fulfilling lives together, now and in the future. 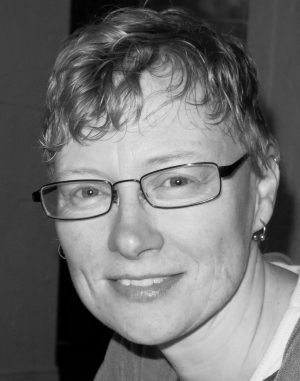 Her background is in the arts, specialising in socially-engaged practice. She is highly experienced with over 25 years devising and developing programmes that engage communities, citizens and businesses. With an MSc in Urban regeneration & development from the University of Manchester, an MA in Dance theory, representation & somatics from De Montfort and a BA in Fine art and sculpture from Sheffield Polytechnic, she’s also exceptionally well qualified. Omar is passionate about creating social and commercial impact that adds real value to people's lives. Graduating from the University of Nottingham with a BA in Politics and MA in Diplomacy, Omar moved to Cairo, Egypt, to become Research Assistant at Ashoka Arab World, working with and supporting Arab social entrepreneurs. It is this experience that cemented his passion for developing real, positive, sustainable social and business solutions to societal issues. Currently, back in his home city of Manchester, Omar leads Sunday Assembly Manchester, a secular community that celebrates life and seeks to build community in a fun, positive, 21st Century way, while also working in analysis, consultancy and strategy in the social enterprise sector. Outside of work, Omar is a proud Mancunian with a love of sports and music, and always interested to learn more of and explore his father's Arab heritage. 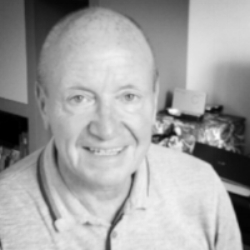 Roger has worked in many different types of voluntary organisation in London and Manchester as employee, volunteer and board member for nearly 30 years. He's also worked for Manchester City Council for 14 years, throughout this time working directly with communities and voluntary, community and social enterprises. He's also worked closely with many public agencies. He has wide experience on voluntary sector funding: successfully applying for it, assessing applications for it and managing and evaluating use of it. He has helped organisations draw up, implement and evaluate strategies and projects. After graduating from the University of Manchester with a biochemistry degree, Tom specialised in communications with a focus on building campaigns and networks for social change. Tom developed regional and national campaigns including the Greater Manchester Living Wage Campaign and the Mosiac Justice Network, a network bringing Christian charities together for mutual support and collaboration. Tom now works part-time as executive director of Greater Manchester Poverty Action and consults as part of the Hometown Plus team on communications and project strategy.